Interval New Hampshire bed and breakfast, Glen Oaks Inn. 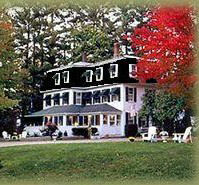 The Glen Oaks Inn, is a lovely Bed and Breakfast, with 8 rooms in the inn and three cottages. Our rooms have queen beds, private bath and some with fireplaces. A full country breakfast is served each morning and in the afternoon we offer snacks and beverages. Offering a spectacular lodgingexperience, innkeepers Mitch Scher and Linda Trask will do everything possible to insure you have a memorable New England vacation. Previous known as The Forest Inn. This and other NH Bed and Breakfast Inns can be found here online in The Register.